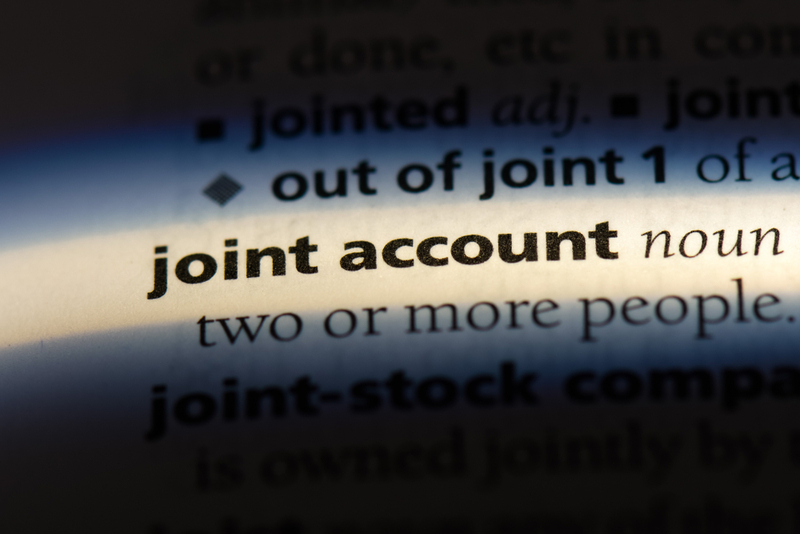 Be Aware of the Dangers of Joint Accounts – Law Offices of Dan W. Armstrong, P.A. Many people believe that joint accounts are a good way to avoid probate and transfer money to loved ones. But while joint accounts can be useful in certain circumstances, they can have dire consequences if not used properly. Adding a loved one to a bank account can expose your account to the loved one's creditors as well as affect Medicaid planning. Once money is deposited in a joint account, it belongs to both account holders equally, regardless of who deposited the money. Account holders can withdraw, spend, or transfer money in the account without the consent of the other person on the account. Before putting anyone on a joint account with you, you need to be sure you can trust that person because he or she will have full access to the account. When one account holder dies, the money in the account automatically goes to the other account holder without passing through probate. One problem with joint accounts is that it makes the account vulnerable to all the account owner's creditors. For example, suppose you add your daughter to your bank account. If she falls behind on credit card debt and gets sued, the credit card company can use the money in the joint account to pay off your daughter's debt. Or if she gets divorced, the money in the account could be considered her assets and be divided up in the divorce. Joint accounts can also affect Medicaid eligibility. When a person applies for Medicaid long-term care coverage, the state looks at the applicant's assets to see if the applicant qualifies for assistance. While a joint account may have two names on it, most states assume the applicant owns the entire amount in the account regardless of who contributed money to the account. If your name is on a joint account and you enter a nursing home, the state will assume the assets in the account belong to you unless you can prove that you did not contribute to it. In addition, if you are a joint owner of a bank account and you or the other owner transfers assets out of the account, this can be considered an improper transfer of assets for Medicaid purposes. This means that either one of you could be ineligible for Medicaid for a period of time, depending on the amount of money in the account. The same thing happens if a joint owner is removed from a bank account. For example, if your spouse enters a nursing home and you remove his or her name from the joint bank account, it will be considered an improper transfer of assets. There is a better way to conduct estate planning and plan for disability. A power of attorney will ensure family members have access to your finances in the case of your disability. If you are seeking to transfer assets and avoid probate, a trust may make better sense. To learn more, talk to your attorney.